The William H. “Bill” Rumple Residence Dining Hall Head Captain Award was established in recognition of William and Tim Rumple. William H. “Bill” Rumple graduated in 1960 with a degree in Agriculture. His son, Tim, graduated in 2011 with a degree in Organization Leadership and Supervision and a Masters in Education in 2003 in College Student Personnel. Both of these men provided outstanding service to Residential Dining Services as former Head Waiters of Fowler Courts and Cary Quadrangle, respectively. They were both very proud of being a Head Captain while attending Purdue University and they would often talk about how things had changed in dining over the years. To honor his father’s memory, Tim created The William H. “Bill” Rumple Residence Dining Hall Head Captain Award, which will generate income into perpetuity. 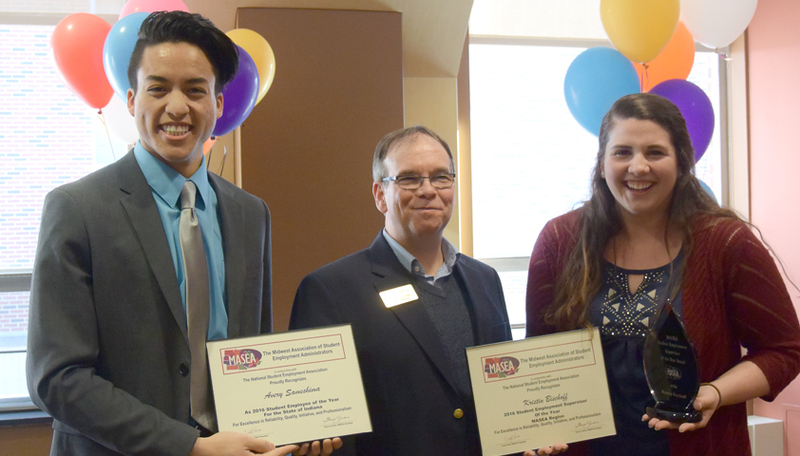 This award is presented annually to a Student Manager or Student Coordinator in Residential Dining Services who has achieved distinction in leadership while employed for Dining Services. The award recipient will be recognized at the annual Dining & Culinary Awards Banquet. Named Award Endowments and other funding priorities may be endowed with a gift of $25,000 or more, payable over five years. Corporate matching programs can be an effective way to help create an endowment named for you, or in honor/memory of someone else. 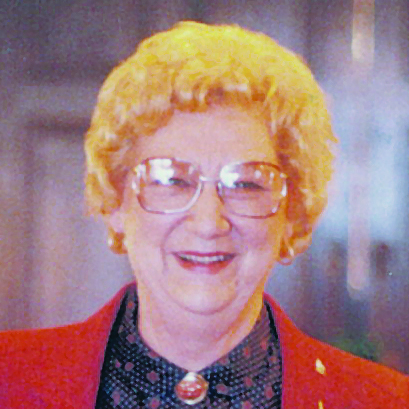 The “Mary T. Wiltshire Award” was established in recognition of Mary T. Wiltshire. Mrs. Wiltshire devoted 25 years of service to the Residence Halls and Purdue University. Joseph B. and Mary T. Wiltshire established the “Mary T. Wiltshire Award”, which will generate income into perpetuity. The award recognizes an Earhart Dining Court student whose work exemplifies the standards demonstrated by Mrs. Wiltshire: cooperation, responsibility, motivation, respect, work habits, and citizenship. This award is presented annually to a student previously chosen as the outstanding student worker of the month. The award recipient will be recognized at the annual Dining & Culinary Awards Banquet. The Sarah Johnson Outstanding Student Employee of the Year Award Fund was established to recognize the many contributions of Sarah Johnson. Sarah Johnson graduated in 1969 from Purdue’s School of Home Economics. She earned a Masters in Nutrition from the University of Iowa and returned to West Lafayette. 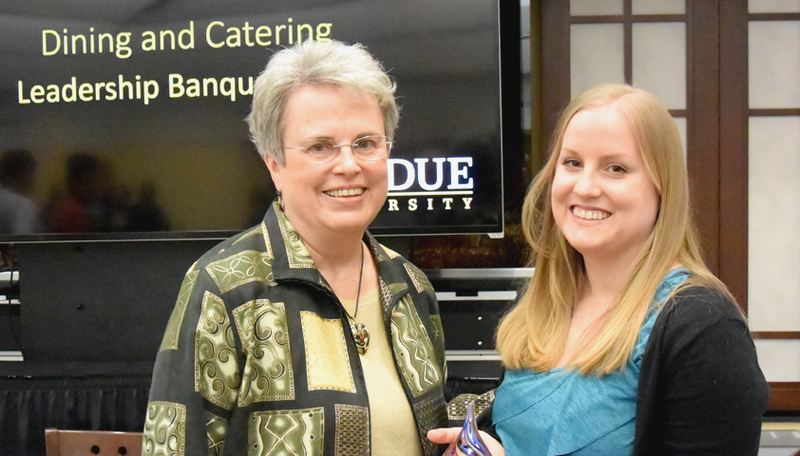 As a former director of Residential Dining for University Residences, she dedicated years of service to students at Purdue University and the National Association of College & University Food Services. The Sarah Johnson Outstanding Student Employee of the Year Award honors reliability, quality of work, initiative, teamwork and contribution to employer. The fund is administered by the director of Dining & Culinary to the department’s nominee for Sarah Johnson Outstanding Student Employee of the Year Award. This Professional Development Fund was established to finance training and professional development opportunities for fulltime staff working in Purdue Dining & Culinary. The fund allows individuals to cultivate skills in their current job and prepare for advancement, career mobility, and professional growth. It can sponsor conferences or workshops, as well as keynote speakers.